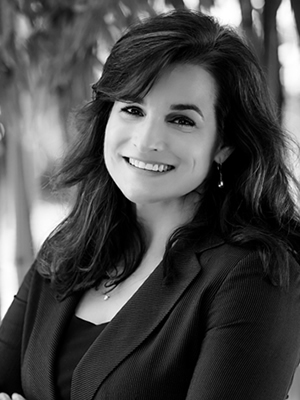 Ms. Silva operates as a sole practitioner with her office in Davis, Ca. As such, she is able to provide that “personal touch” on all of her cases. Before becoming a lawyer, Raquel M. Silva, CFLS*, spent 16 years working as a paralegal on many cases covering areas of the law including: real estate title litigation, business litigation, and corporate law. This breadth of experience allows Ms. Silva and her legal team to provide her clients a level of service that is not found in other law offices. The legal team at the Law Office of Raquel M. Silva is able to approach cases from a multitude of angles — ensuring that clients are provided a detailed picture of their specific situation and the options that are available to them. Ms. Silva attended UC Davis School of Law, King Hall and graduated with honors in May 2005. During her second year of law school, Ms. Silva became a Certified Law Student for the King Hall Family Protection Clinic. Clinic work enabled her to obtain two years of court and trial experience prior to graduating law school. In 2012, Ms. Silva became a Certified Family Law Specialist which requires extensive continuing legal education classes in all areas of family law, in addition to the standard California State Bar continuing education requirements. Ms. Silva stays fully informed and up to date in all areas of her practice by attending continuing legal education conferences throughout the year, participating in the continuing education programs offered by the Yolo County Bar and Yolo County Family Bar Associations, as well as consulting regularly with financial/tax specialists, divorce coaches, child custody counselors, child custody evaluators, and therapists working with divorcing families. After passing the California State Bar in November 2005, Ms. Silva opened her law office in her hometown of Davis, CA, where she is actively involved with the community through the Davis Waldorf School, Let It Flow (a water charity founded by the professional skateboarder and Davis native, Nyjah Huston), and the Independent Order of Odd Fellows. Davis, CA offers the wonderful mix of a small, bike-friendly farm/university town, combined with the food, fun and culture of a much bigger city. In a single day you can buy locally grown organic foods at the Davis Farmers Market and attend a concert at Mondavi Theater. Davis is perfectly located between the Sierra Nevada and the Pacific Ocean…the best of all worlds.